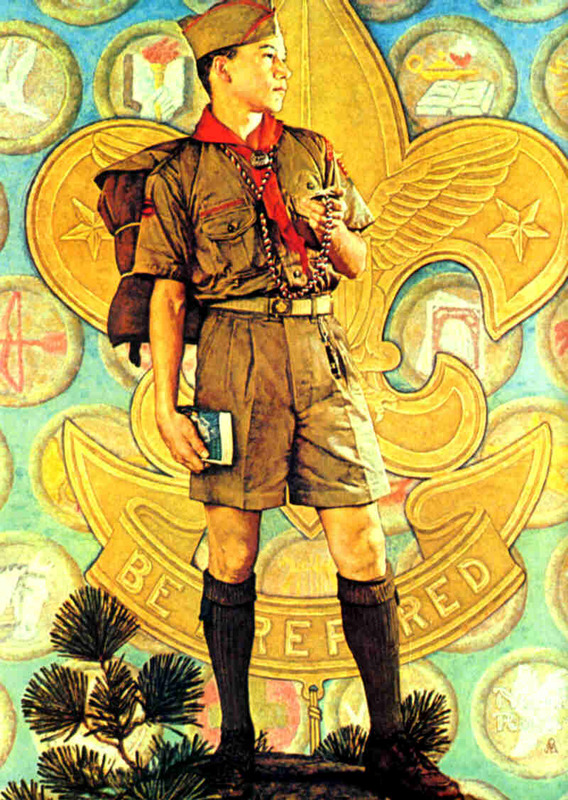 Most of my friends were in the Boy Scouts when I was a kid. Henry Legasse was the Scout Master when I joined, and that position was later taken over by Mr. Hansen and Mr. Carter. Boys like to go camping, and the troop had a supply of WWII pup tents, also known as “shelter halves” because two halves were put together to make one tent. We used these tents only once as I recall. Our Scout leaders, most having recently served in WWII, had had their fill of camping and anything remotely related to the Army. And pup tents and sleeping on the cold ground certainly fit that bill. Instead, they took us places where there were cabins and real (alleged) beds, like Camp Salmon and Fountainbleu State Park group camps. The latter was probably a bit emotionally triggering for them because the buildings we stayed in were surplus Army barracks. But they had a roof instead of pup tent canvass and real beds with alleged mattresses. Manard Lagasse was not what I would call a “momma’s boy” but every “camping trip” we went on, he puked all the first night and had to be taken home the next day by his dad. Frankly, the rest of us were glad, because it was hard to sleep and listen to Manard’s “Oommmoooogggg!” followed by liquid hitting the floor. We played games and worked on merit badges on these trips, and learned Army stuff, like: fall in, ah-tennn-HUT, count off, parade rest, and other nifty things that would come in handy less than ten years later when many of us went into the military. On one trip to Fountainbleu, we begged our adult leaders to take us on a hike. They weren’t into hiking either, having recently hiked all over North Africa, Italy, and Europe. They decided to break us of that desire and took us on what more resembled some sort of death march rather than the leisurely stroll we had in mind. They took us into a swamp—into muck up to our knees—and we could barely move forward—and they urged us on deeper into the swamp, and some of us lost our shoes. When we came out, we were covered with stinking swamp mud, and we never asked for a hike again. And I don’t recall them ever offering to take us on one, either. Once when we were on a winter campout at Camp Salmon in the little buildings with (alleged) real beds, we had a giant pillow fight, which, unfortunately, went badly. At least one of the pillows quite literally exploded, resulting in a blizzard of chicken feathers. That was a mess to clean up! One of our favorite games was “infiltration” which we always played at summer camp at Camp Salmon. The objective was for all the scouts, under the cover of darkness, to sneak up on the campfire area along the bayou. Success was just about impossible without taking out a few of the camp counselors, but cutting throats was not then allowed. The scouts would blacken their faces with charcoal, dress in dark clothing, and crawl around in the woods infested with briars, snakes, spiders, ticks, and red bugs and attempt to sneak up on the campfire ring. We actually believed we had a chance of succeeding. I don’t recall anyone ever succeeding. At summer camp, they were very strict about littering. They even had a rule about it. If you bought any candy at the little camp “trading post” and tossed the wrapper on the ground, whoever picked it up could charge you, and you had to buy them the same thing. It is amazing how many kids toss their candy wrappers on the ground. Some of us (punks) saw potential in this and formed a “vigilante” group. We hung around the “trading post,” and when we saw some kid eating candy, we followed him until he dropped the wrapper—and we pounced. I gained weight that year at camp. Yes, I know. I’m ashamed of myself. But hey, they needed to learn a life lesson about littering. The last night of summer camp at Camp Salmon was the big campfire when we sang Kumbaya, did skits, and received awards. We would dress as Indians, and the costumes were pretty lame. We used towels as loincloths held on by our scout belts. Having that wad between your legs was pretty uncomfortable, and I don’t recall anyone taking a shower after that. There was a priest there who somehow managed to attach himself to our troop. He was from some foreign country and spoke broken English. When he saw us dressed as Indians, he flipped out. I think the “skimpy” towel loincloths did it. We tried to reassure him we were pretending to be Indians just for the night. His reply was a pleading, “NO! Christians!” We went in our crotch-irritating loincloth towels anyway. He remained behind prayed for our lost souls. And I must not forget the meals on these camping trips. Almost always we had access to a kitchen and lots of surplus Army aluminum pots, but every once in a while we got to actually cook our own meals over an open fire. That usually meant foil stew. Done right, foil stew can be very good. You simply make a pouch out of two layers of aluminum foil and place in it chopped potatoes, carrots, onions, bell pepper, and some kind of meat cubed up. Throw in a little seasoning and a dash of water, seal the open end well and toss that puppy onto a bed of hot coals and scrape a few on top. Cook it for about 20 minutes. Retrieve from the fire and split open the foil and enjoy. Later in life, we would make foil stew on hunting trip camp outs, only being older and wiser then, we used steak instead of the cheap of meat cut our parents gave us as kids and substituted beer for the water. Yuumm! And no pots to wash! The weekly meetings at the Kenner VFW Hall were always the high point of my week. I really looked forward to them and getting together with kids I saw only then. We worked on merit badges and different scout projects. I never did learn Morris Code, however. The biggest event was the “Court of Honor” when we received our merit badges and promotions to the next level of scouting. It was all rather formal with everyone in uniform with candles glowing softly as the ceremonies played out. We scouts received our new uniform decoration and our proud parents stood by smiling and applauding. I encourage readers, especially former members of Troop 176 in Kenner, to post their experiences in the comments section below. Ah yes…Troop 176, close to Christina’s ice house where they would let us take all the ice shaving to makes no-balls. We had meeting every Friday night. The counselors built chin up bars in the back and the VFW hall was the center of Kenner social life. It seemed big back then but I drove by last week and it looks so small. Camp Salmon was the best! You describe what I remember as “cook-out” dinners. They were great when you put onions in them. The “juice” was the best. To this day, when my wife asks what aI want for a special occasion, I ask for cook-out dinners. She puts it in tin foil and I go back in time. One guy I remember at Camp Salman was “Droopy Draws”. I didn’t even know his name but we all wore white tighties the and so did “Droopy Draws” but his started out as white tighties but quickly became looser than boxer shorts. I’m not sure what he used to do to make them so loose but I can imagine. I did not go on past Star but as I recall you went on to be an Explorer Scout, Lane. true? And you always DID love any uniform. You were a cool dude! “Droopy Drawers” I remember him. His name will come back to me. Didn’t he go on to become a pharmacist? He had this goofy laugh you enjoyed, kind if, “Hee, hee,” but real deep? John Palmasano?